The tablet comes with Android Jelly Bean, 1.5 Ghz dual core processor, 1 GB RAM, 3G and a 6000 mAh battery. 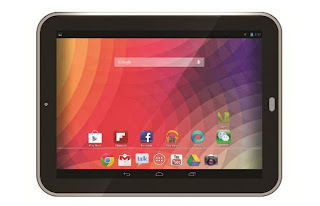 Karbonn has launched its first 10 inch tablet, called Cosmic Smart Tab 10. 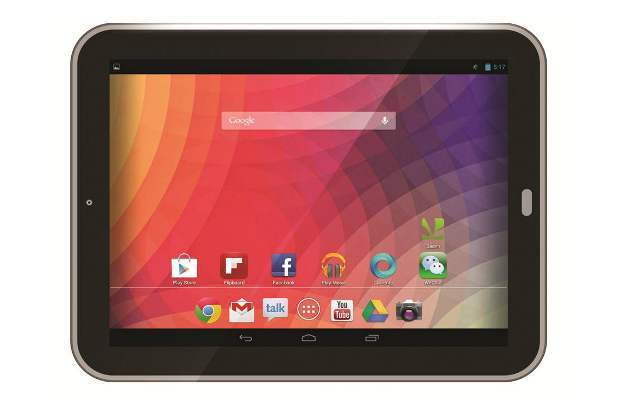 The tablet is very feature rich and comes at an attractive price tag of Rs 10,290. The Karbonn Cosmic Smart Tab 10 comes with a 9.7 inch (24.6 cms) capacitive touch screen with 1024 x 768 pixels resolution which is a very healthy one for a budget tablet. It utilises Android 4.1 Jelly Bean operating system, which again is the first for a budget tablet (all other tablets are based on Android 4.0). In terms of hardware, the tablet has 1.5 GHz Cortex-A9 dual core processor, 1 GB DDR3 RAM and a 6000 mAh battery. Karbonn Smart Tab 10 comes with a front facing VGA camera and a 2.0 megapixel rear camera. The tablet has both WiFi and 3G support through USB dongle. It has also gravity sensor and 3D G-Sensor for advanced gaming. Besides, it has internal usable memory of 1.5 GB, expandable memory up to 32 GB, Bluetooth, HDMI output and a host of pre-embedded apps and games. The tablet comes with pre-embedded applications like Google Currents, which allows the users to read magazines and newspapers from around the world, Angry Birds Seasons, Turbo Fly 3D, 'NexGtv' for unlimited access to TV channels, Flipboard another newspapers and magazines store, Google Chrome browser, Kingsoft Office for viewing and editing documents along with other utility apps like Economic Times, Times of India, JustDial, Popi, PayTM, Facebook and more. The Karbonn Smart Tab 10 is available across the country at a special introductory price of Rs 10,290 only.